A monotypic genus of the arctic regions. 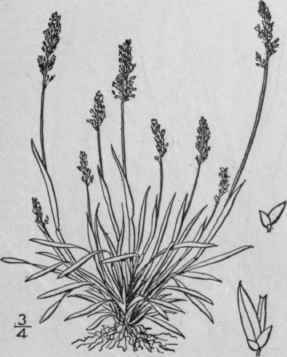 Agrostis algida Solander, in Phipps' Voy. 200. 1810. Phippsia algida R. Br. Suppl. App. Parry's Voy. 285. 1824. Smooth and glabrous throughout, culms 1'-5' tall, erect, simple; ligule 1/2" long; blades 1' in length or less, 1/4"-1" wide, obtuse; panicle 1/4'-1 1/2' in length, contracted; branches 1/4'-3/4' long, erect or appressed; spikelets 1/2"-3/4" long; outer scales minute, unequal, acutish, the first often wanting; third scale broad, 1-nerved, obtuse, or sub-truncate and somewhat erose, the palet about two-thirds as long, broad, 2-keeled, erose-truncate. Arctic and alpine regions of both the Old World and the New. Summer.